My original intention was to share only pictures with you today to encourage a moment of silence as we embrace this day of remembrance. But I then began to realize God had placed words on my heart to share. As I write I continue to wait for my husband’s return home from serving in harm’s way. The last time we touched one another was Thanksgiving weekend. In two short months I will say good-bye to my oldest son when he departs for his first deployment. I would do just about anything to be able to hold my family close today. Before becoming a military family I admittedly treated this day with gratitude for simply having a day off of work. Reflecting on those we've lost in service to our beautiful country now brings many tears. My son taught me a lot on what it means to honor these heroes. 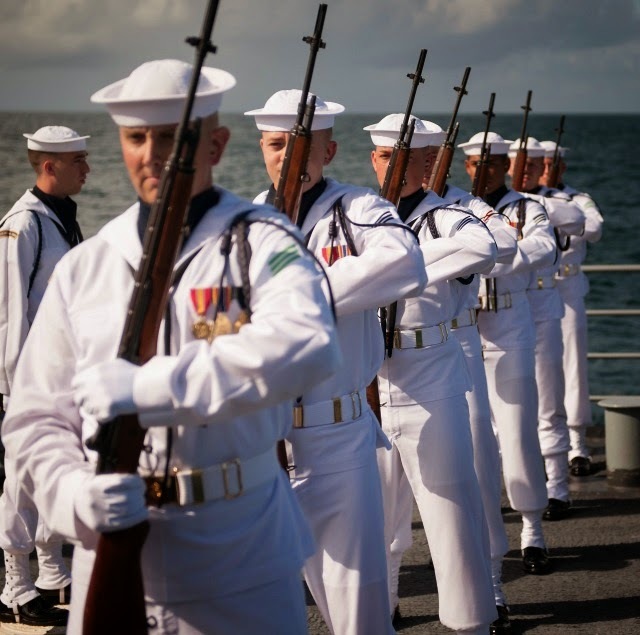 His first two years in the military were spent spending countless hours attending to the meticulous details that came along with being a Ceremonial Guard for the United States Navy. This meant He honored our heroes as they were laid to rest. Not everyone he honored had been killed in active duty but all had served their country. All at one point in their life stood ready to give their own life for another . . . for us. To prepare for a funeral the guardsmen had to properly clean and press their uniforms. 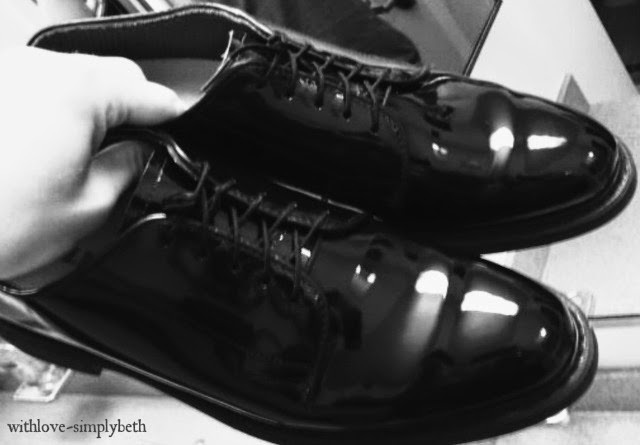 Shoes and any brass they wore were polished to perfection. They trained on the ceremonial aspects of a funeral until the point of being able to perform with their eyes closed. Numerous inspections took place to ensure they upheld to the honor they were giving. For two years my son put aside his chosen career in the Navy to remember and honor our heroes. 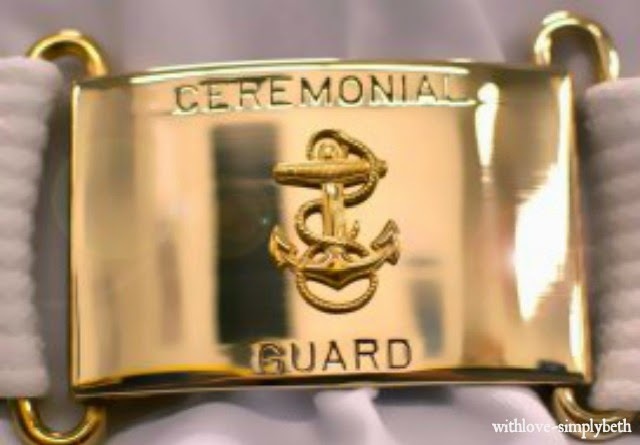 Becoming a Ceremonial Guard was not out of duty but a willingness to lay down his own desires for another. Five days a week he made his way to Arlington National Cemetery no matter the weather conditions to ensure these men and women received the honor they had earned. 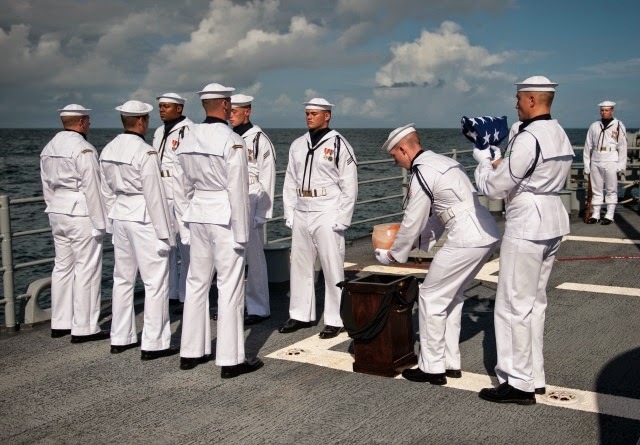 Because he took his role as a guardsman seriously, he was asked to serve as part of the ceremonial detail as Astronaut Neil Armstrong was laid to rest at sea. 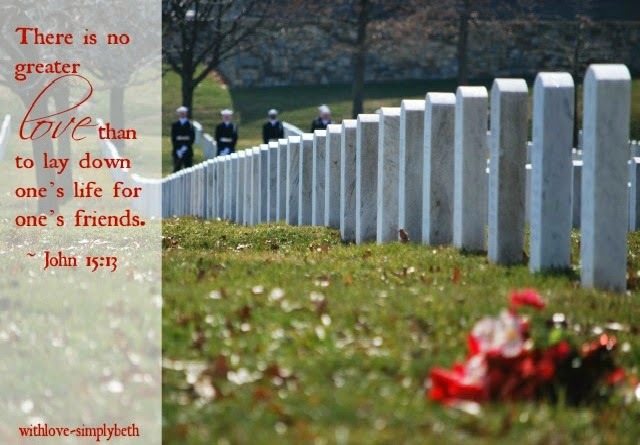 On Memorial Day the verse from John 15:13 is typically shared: "There is no greater love than to lay down one’s life for a friend." No one portrays this kind of love more than Christ. I see the example Christ left for us and I see the faces of the men and women who also left us with a powerful example of a willingness to lay down their life for another. I see the faces of both my husband and son, and those serving alongside of them, who stand willing to leave loved ones behind to serve their country. 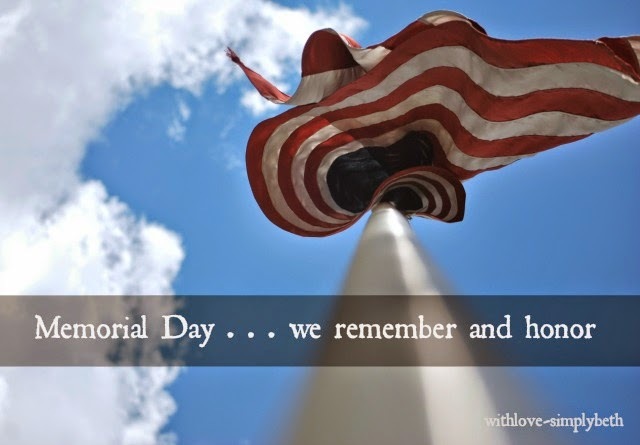 Today not only do we remember our fallen heroes; we honor their sacrifice. We need to honor their sacrifice, and willingness to sacrifice, today and every day with the same honor they were given as laid to rest. I believe our heroes leave us with a message on how to do just that: Keep moving forward with a willingness to love one another with that same kind of love . . . a sacrificial kind of love . . . God’s kind of love. Because there is no greater love than to put aside our own desires to love another. Let the sacrifice made by so many fuel our hearts to love one another. Love others by following His example. My thoughts and prayers are with the families of our fallen heroes. Their sacrifice will never be forgotten. I am awestruck by your story this morning, Beth. And filled with gratitude. Pure and simple. Thank you, Linda. Much love to you. Beautiful photos, Beth. Grateful every day for those who have given all to protect our freedoms. Sharing a heart of gratitude with you, Holly. Much love. Wonderful post Beth! I thank you for YOUR sacrifice to our country. 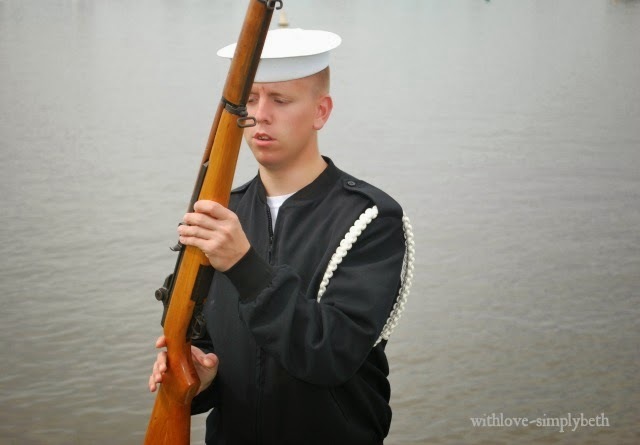 YOU are holding down the home front so your husband can serve. I pray strength for you and your family. My grandfather was a WWII veteran. He flew 20+ missions over Europe. It is a miracle that he made that many as a ball turret gunner. I am very proud of his service. Bless you today! Thank you so much for sharing about your grandfather and for your kind words. I am always so touched by the comments you leave. Blessings to you. My heart is full of gratitude. Thank you for putting words and sharing real stories to make this come alive for me in a way that I am not just celebrating a day off from work. This blessed me today! Absolutely beautiful! Thank you so much for your kind words, Mary. Blessings to you. A moving and beautiful piece, Beth. I'm sharing on FB. I know all who read this will be blessed. Praying for you and your family today. Thank you for sharing today, June, and for your continued prayers. Much love. Lovely, my friend. And I feel you. So very much. Praying for your heart, hubs, son and all of our service members today. Love you much. Thinking of you and yours hubs today too. So grateful to call you friend. Love you. Thank you so much for your kind words, Shauna. Blessings to you. Beth, this was just beautiful. You were on my mind when I woke up this morning. I just know how difficult this day must be. My prayers continue for you and your family. I was greatly touched by the photos (and the sacrificial service) of your son. Such a solemn and honorable duty. You must be very proud. May we remember all those who have served, and are serving, in an effort to keep our freedom in this country. And may we never forget our Savior, whose sacrifice truly set us free. Thank you for your continued prayers, Sharon. It means so much to me. I am indeed very proud of my son. He truly did teach me a lot on how we honor such a sacrifice. Blessings to you. Such a blessing to join you in remembering those who have served our countries with honour.My thoughts and prayers are with those who are currently serving, the injured, and the families of all those who lost loved ones in service. Thank you for your kind words, Anita. What a touching and beautiful post my friend. Thank you for giving me a greater glimpse into all that this day means. Blessings! Thank you, Barbie. <3 you. Your words and photos touched my heart tonight. Thank you for sharing your heart and how it has grown in the last few years as you have given much! Sweet, brave Beth, thank you. Beth, absolutely stunning tribute to the men and women serving in harm's way and those who've given their lives in duty. Stopped by after receiving a comment from you today. Looking forward to getting to know you better. Love your blog! Thank you for stopping by. I appreciate your kind words and your visit. I hope to see you again. Blessings. Blessed by this poignant and personal reminder of of what it really costs to live with freedom. Thank you to your son and your husband and so many more. And thank Jesus!!! Thank you for your kind words, Elise. Much love. Beautiful. Such courage I do not know. What a tender reminder of true love's sacrifice...giving thanks with you today for your husband, son and all who serve and have served... and praying for your husband's safe return. It was so nice to see you here, Dolly. Thank you for stopping by, for your kind words and your prayers. Blessings. Reading this makes me just want to hug you. Thank you for YOUR sacrifice as a military spouse and mama. And please pass on my heartfelt thanks to your men for their service. Blessed to have linked up behind you at Angie's place and read this today. I'm getting to this late, but what a spectacular post, Beth. All my love to you and yours. Heroes of the truest sort.